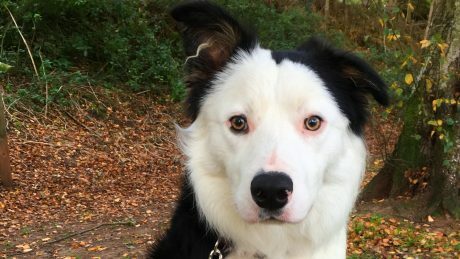 Bandit is a 9 month old entire tri coloured medium coated collie. He came into our care from his own home due to his owner being at work all day. 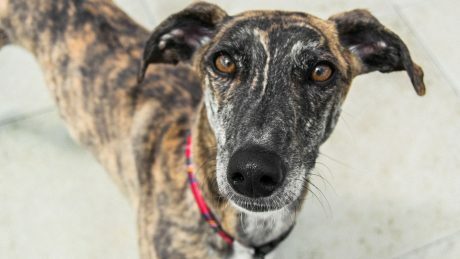 18 month old Lurcher Bruce is a loveable soul who has a warm and friendly nature that sees him making friends with ease. Alfie is a Lakeland Terrier cross Patterdale Terrier. 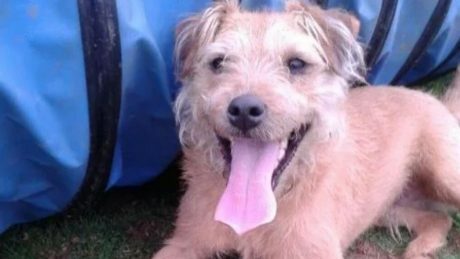 Alfie is a 7 year old Lakeland Terrier cross Patterdale Terrier. 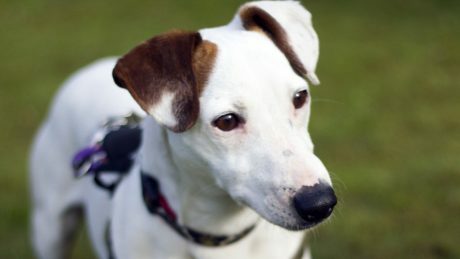 He is such a fun cheeky character, and is looking for an experienced terrier owner in an adult only home without other pets. 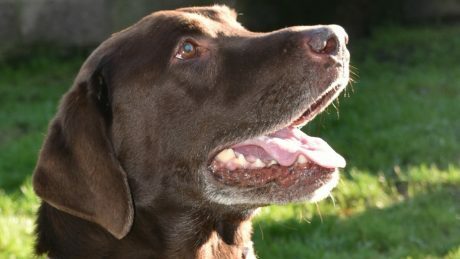 Eddie is an 8 year old chocolate labrador. 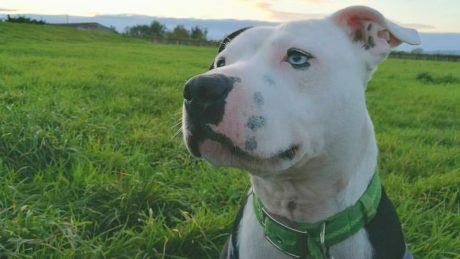 He has just undergone six months of training and he now desperately needs a new home. 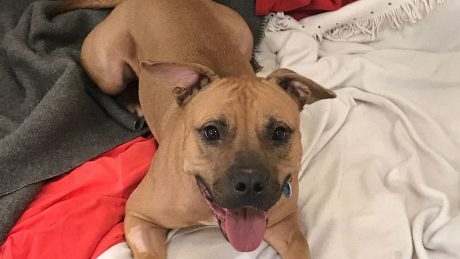 Harley is a 2 year old Staffordshire Bull Terrier. 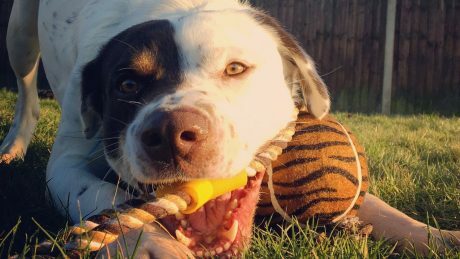 Our wonderful Harley is one of our longest residents here at Cotswolds Dogs and Cats Home and we would dearly love to find him the loving home he deserves. 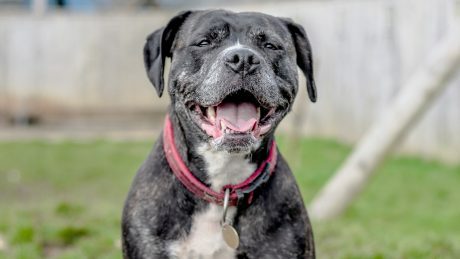 Tia is a really affectionate and gentle 7 year old Staffordshire bull terrier cross who has a lot to offer a new home. 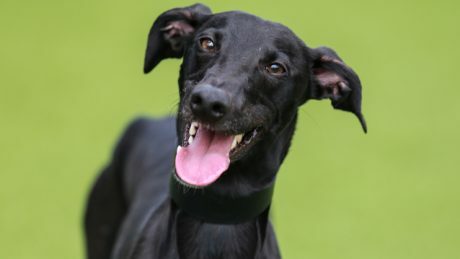 NeoBehind his wide smile, Neo has one of the saddest stories of any Battersea dog. This young boy arrived at Battersea’s Old Windsor centre as a stray over a year ago. Bennie is 8 years old. He has come all the way from Ireland. 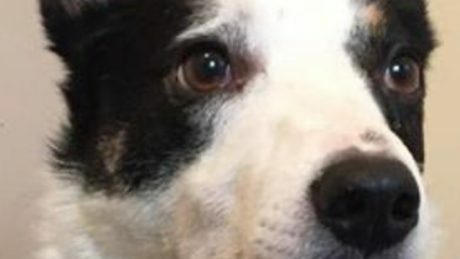 He was a pet from a pup but was given up to an Irish charity (PAWS rescue). Clyde is a handsome young dog at the National Animal Welfare Trust’s Clacton centre. A cheeky chap with a gorgeous smile, Clyde has stamped his mark on the hearts of everyone who has worked with him. Oliver is our latest "Special Appeal", he is a 2 year old neutered tri coloured short coated collie. 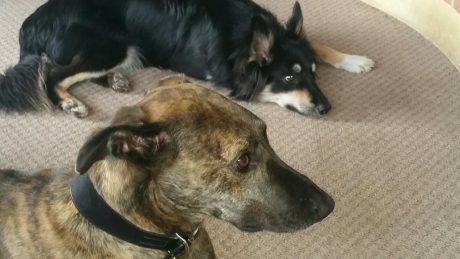 He came to us from another rescue centre as an unclaimed stray so his history isn't known. 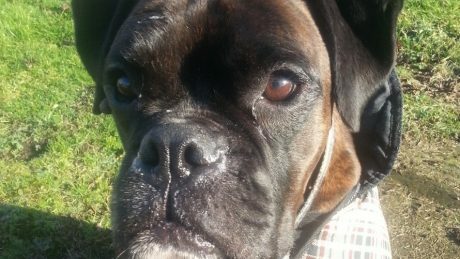 Bitzer Maloney is the soppiest dog you could meet. 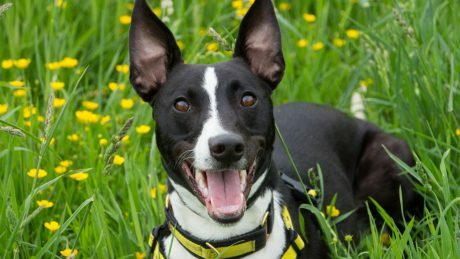 He is a three year-old Lurcher who loves affection and just wants to be your best friend. This is the very handsome Shak, he is 7 years old and looking for a quiet adult home that can give him lots of love. 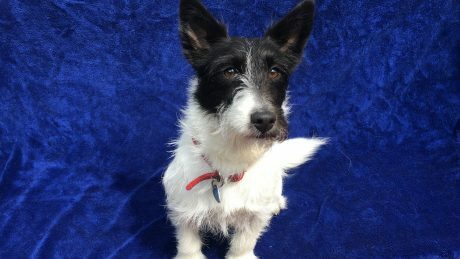 Stella is an 18-month-old Fox Terrier crossbreed who was first brought into The Mayhew Animal Home after being found abandoned on the streets. Winnie is a super friendly and affectionate 20-month-old Staffordshire Bull Terrier who was found abandoned on the streets. 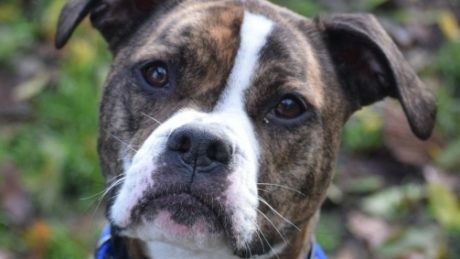 Lola is a 4 year old Boxer crossbreed looking for a new home at the National Animal Welfare Trust’s Hertfordshire rehoming centre in Watford. 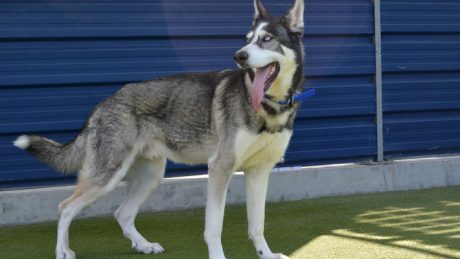 He’s huge, he’s furry and he’s looking for a family – meet Battersea Dogs & Cats Home’s Loki, a Northern Inuit cross who’s ended up in an inner-city rescue through no fault of his own. Bailey is a very handsome 2 year old Lurcher. He came into our care as his owners were working full time and were leaving him alone all day. 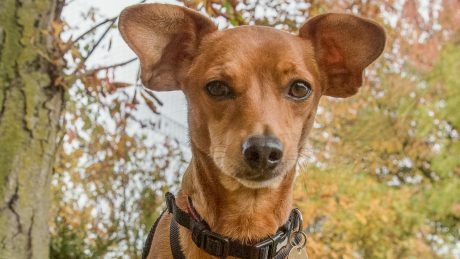 This cheeky little man is Perry, a 6 year old Dachshund Chihuahua cross. He is very sweet and loves the company of people.